5 images. 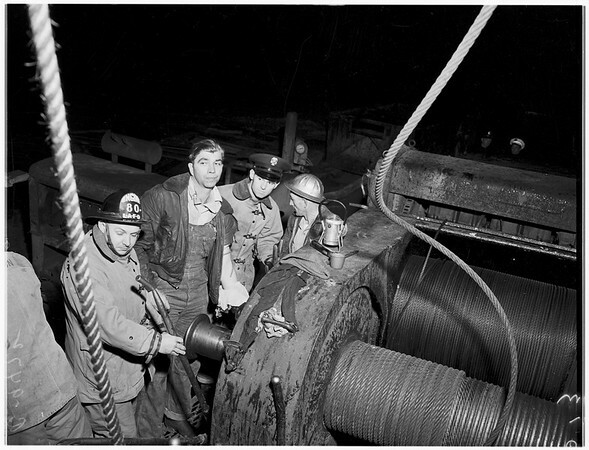 Man with hand caught in oil well drilling equipment, 30 January 1952. Larry Snow -- 28 years (with hand caught in "Cat Head" on portable hoist where his hand was held for an hour and 10 minutes). (Sleeve states "A-9472").